This is that one trend that is never going out of style! For natural eyelash growth, dip a mascara-free wand into one of these three substances: olive oil, castor oil or coconut oil, coat lashes every night before bed, and watch them grow over time. For instant results, consider Palladio’s Double-Agent Lash Extender + Undercover Fiber Booster that contains tiny sculpting fibers that coat each lash for plump, beautiful lashes with just one coat! 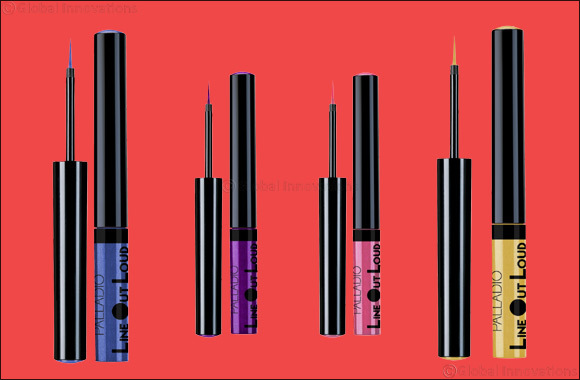 And about that bright blue and purple eyeshadow and eyeliners that you always pass over when you’re doing your make-up because you aren’t sure how to rock the look - well, stop, because it’s all about eyes that pop this year! If you’re not ready for bright shadow all over your lids, start slow with an eye-catching colour on the lower lash line, paired with a contrasting neutral shade on the lid. Top off the look with a high-shine lip gloss or a herbal lipstick, and you’re ready to go. Duo-tints that you can utilize for both your lips and cheeks are a must-have this year. Not only can you minimize the number of products you would have to carry around in your make-up bag, you can also create cohesive looks with one single hue. Try the Palladio ‘I’M BLUSHING 2-in-1 Cheek & Lip Tint’ for a natural and dewy finish in five minutes flat. Palladio Beauty products are available online at Glambeaute, all Exquisite stores and select Lifestyle stores across the UAE.